Have you ever wondered why you are here, and where is the instruction manual? Do you yearn for a livelihood that will fulfill, enliven, and enrich you? Do you sometimes feel that there must be something “more”? Your Life Purpose is written in your soul before you were born. It is written in your soul AND it is encoded in your very fingerprints! You are a unique creation of Divine Source that imbued you with a particular fragrance and a unique mixture of special qualities and talents. Your Soul’s Life Purpose is exactly in alignment with your deepest desires and passions. It’s what you love to do, you’re good at it and it comes naturally. When you’re on it – life is beautiful – you’re in the zone and you jump out of bed ready to great each day. It’s more than a career although it can be expressed through the vehicle of your work. Because your Life Purpose sits in your Soul – it cannot be found through the mind, or the logical brain. The good news is it is encoded as the energetic topographical imprint of your unique fingerprints. There are many ways you can come to know your purpose. You can access your soul through walking a spiritual path and/or by opening your heart’s passions. At One Soul Purpose we offer Life Prints hand analysis readings that decode the unique map of your purpose as written in your fingerprints. If you’re asking any of these questions, it’s your soul calling you! The good news is: The answers are as close as your fingertips! All coaching begins with receiving a full life purpose hand analysis reading. This session helps you KNOW your unique life purpose, life lessons, and your soul’s agenda that’s written in your very fingerprints. Also included in the session are any special gifts, talents, relationship issues or other important info that shows up in your palms that will help support you in manifesting the life you’re truly meant to have! You will receive an mp.3 audio recording after your session that lasts a lifetime. No matter where you live in the world, you can come to know your Divine Soul Purpose by purchasing a LONG DISTANCE HAND ANALYSIS KIT & “LIVE” PHONE SESSION. The hand kit includes ink sheets with easy instructions for you to make handprints. 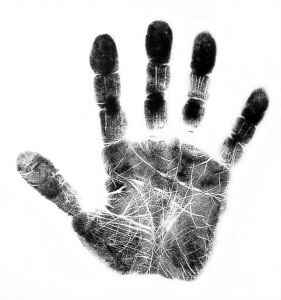 As soon as you mail in your handprints, we will schedule a personalized “live’ 90-minute recorded phone session. Later, we’ll e-mail you an mp.3 recording of your session.